Beef Stew Served With Cooked Potatoes In A Yellow Little Pot On A Wooden Background. Banco De Imagens Royalty Free, Ilustrações, Imagens E Banco De Imagens.. Image 73936018. 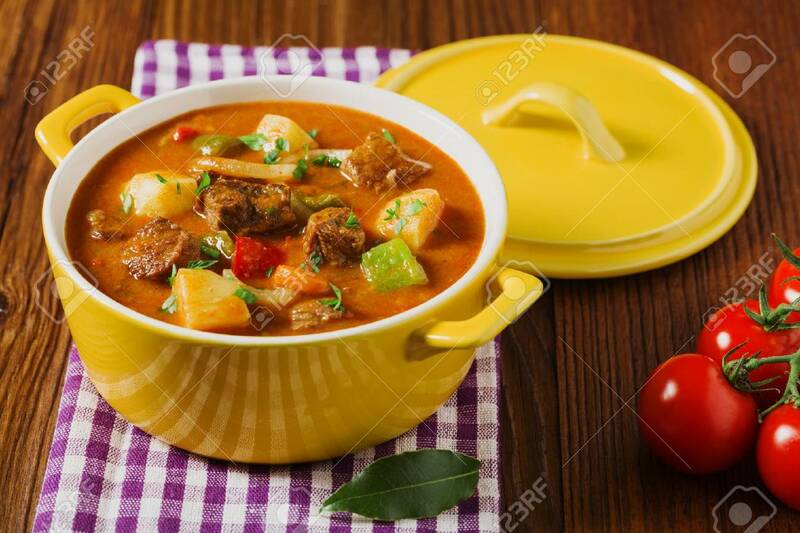 Imagens - Beef stew served with cooked potatoes in a yellow little pot on a wooden background. Beef stew served with cooked potatoes in a yellow little pot on a wooden background.